Ted’s legal career started in insurance defence litigation. 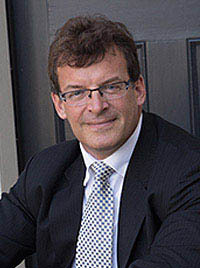 He worked at a boutique insurance defence law firm before switching to represent only injured clients and their families (Plaintiff personal injury law) in 1995 and is a founding partner of Bergeron, Clifford LLP. Today, Bergeron Clifford LLP is known as a leading personal injury law firm in Ontario with a focus on representing injury and accident victims in Kingston and throughout Eastern Ontario. Widely regarded as a top Kingston personal injury lawyer, Ted brings insight and experience that is of great value to his clients during the discovery process, at the negotiating table or, if need be, the courtroom. Decades of trial experience and a passion for helping injury victims and their families helps Ted obtain fair, reasonable and just settlements or court judgements for his clients. If you or a loved one have been injured in the Kingston area or anywhere in Ontario, Ted would be happy to meet with you to discuss the issues of your case, how the law applies and the best way to proceed to protect your rights and obtain the fair and proper compensation you deserve. If you are unable to attend the Bergeron Clifford LLP. offices in Ottawa, Kingston, Perth or Whitby, arrangements can be made to meet at your home, hospital or rehabilitation facility.